Auf Wiedersehen, Pet - Locations Series 2. 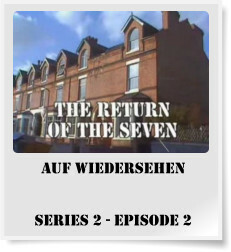 Location Notes - The first episode of Series 2, was mainly shot on location in Nottingham, with Barry’s house in Wolverhampton on screen, also being in Nottingham. Acknowledgments - Neil Rigby, Richard Smith and Steve Turner. Images - ITV, Central Television and Carlton Media. 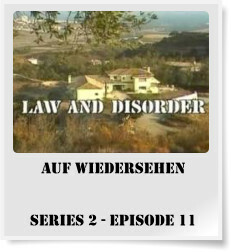 Location Notes - Part 2, and filmed in the same area as Part 1. Acknowledgments - Neil Rigby, Richard Smith and Steve Turner Images - ITV, Central Television and Carlton Media. 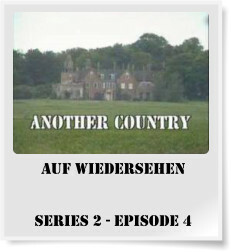 Location Notes - This was the start of the ‘Thornely Manor’ episodes, and featured as the main property at the beginning of Series 2. Acknowledgments - Colin Matthews, Steve Turner, Gary King and Neil Rigby. Images - ITV, Central Television and Carlton Media. 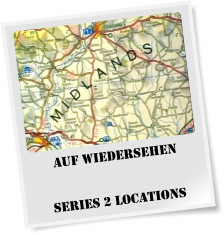 Location Notes - The locations for this episode spread a little further, as the crew went to Derbyshire to film the ‘Poaching’ scene with Jimmy Nail and Tim Spall. Acknowledgments - Steve Turner, Richard Smith, Neil Rigby and Gary King. Images - ITV, Central Television and Carlton Media. Location Notes - The locations for this episode are very close indeed. From ‘The Barley Mow’ to the guest-house Neville and Barry visit, it’s only a stones throw away. Acknowledgments - Richard Smith and Neil Rigby Images - ITV, Central Television and Carlton Media. Location Notes - Harry’s Boozer which was used for the Cowboy Night. 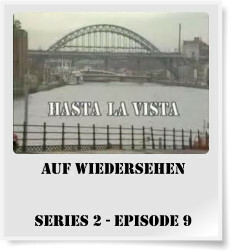 Acknowledgments - Images - ITV, Central Television and Carlton Media. Location Notes - Many of the locations are in the listings above. Acknowledgments - Neil Rigby. Images - ITV, Central Television and Carlton Media. Location Notes - The beach and the lads Car Rental shop. Acknowledgments - Neil Rigby & Chris Mitchell. Images - ITV, Central Television and Carlton Media. Location Notes - The tile shop and the lads hitting the port to celebrate Hazels Casino win. Acknowledgments - Neil Rigby. Images - ITV, Central Television and Carlton Media. 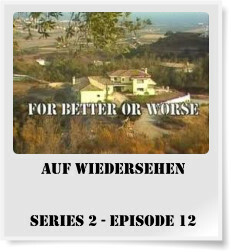 Location Notes - The last episode of Series 2 featuring a couple of locations. Acknowledgments - Neil Rigby. Images - ITV, Central Television and Carlton Media. Derbyshire, Nottinghamshire, Newcastle and Marbella. 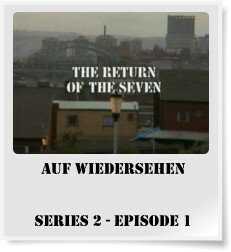 Derbyshire, Nottinghamshire and Newcastle are just some of the locations used for the second series. As you know, what we see on screen is not always the truth, and series 2 used a lot of camera magic. Nottinghamshire was used on screen for Newcastle, Wolverhampton and even Marbella in Spain.